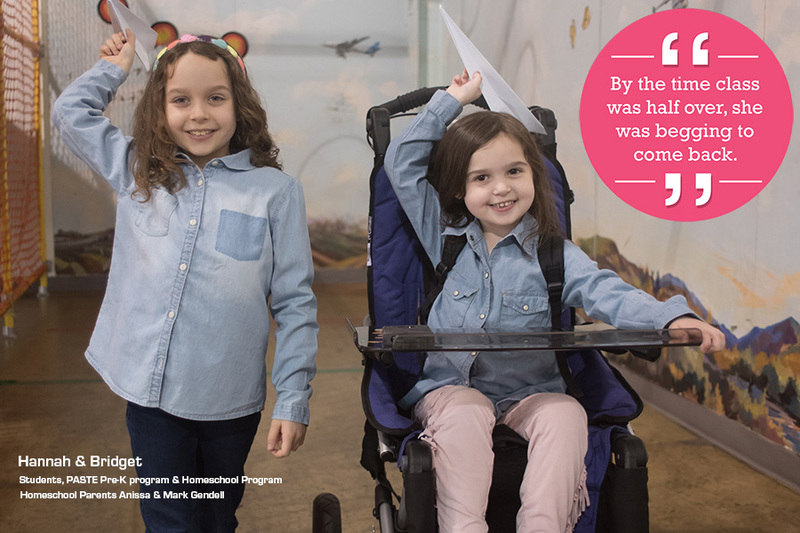 After ten years of operation, demand for Science Factory exhibits and educational programs has outgrown our current capacity. Class registrations fill up in less than a day, and we are completely booked during field trip season. 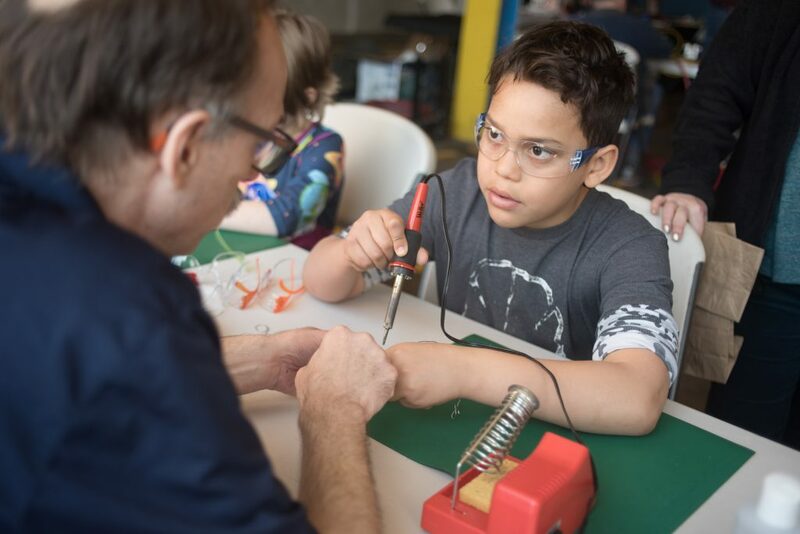 To meet this urgent demand and ensure all young people in Lancaster County have access to hands-on STEM education, we plan to expand our 10,000-square foot facility by 50%, creating more capacity for exhibits, technology, and classes. 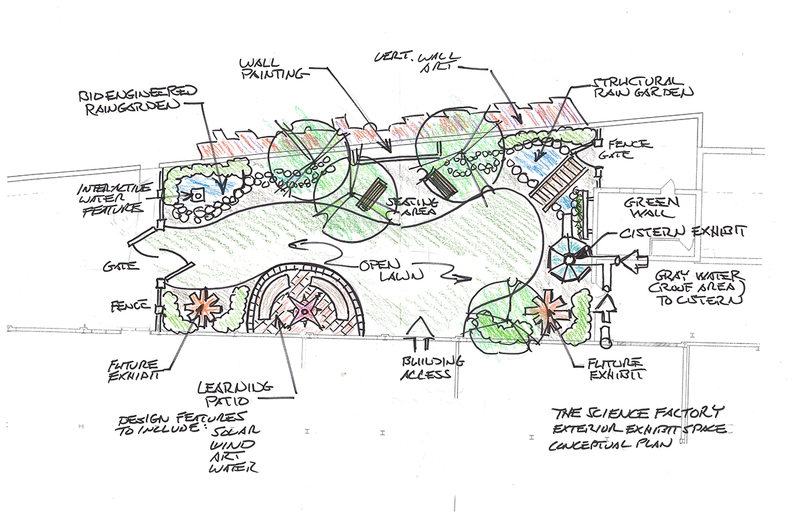 We will double our hands-on program offerings in the new Maker Space and Outdoor Courtyard. Control the flow of water using locks, sluices, valves, a vortex, water mushroom, and an Archimedes screw. Watch out, button activated squirters may get you wet! A unique combination of sand and sensors. 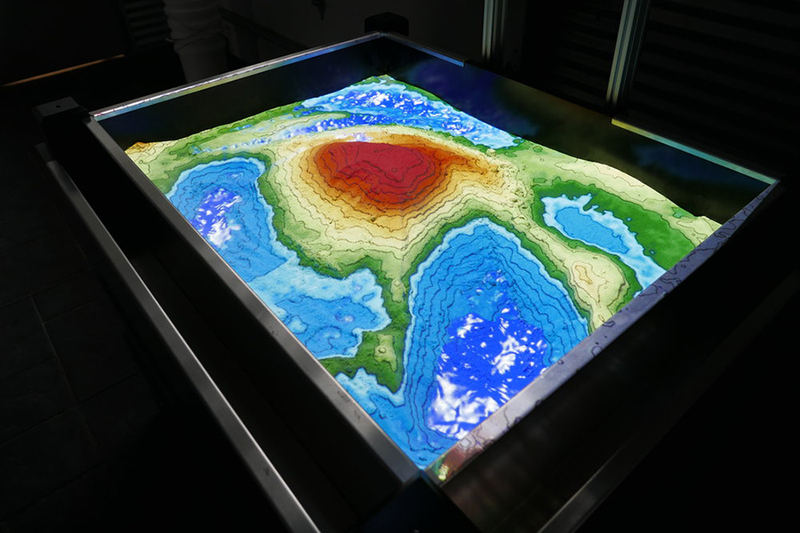 Move sand around to create mountains, valleys, river deltas. Watch as the water flows into watersheds. This exhibit is a feast for the senses! Convert human movement into energy. 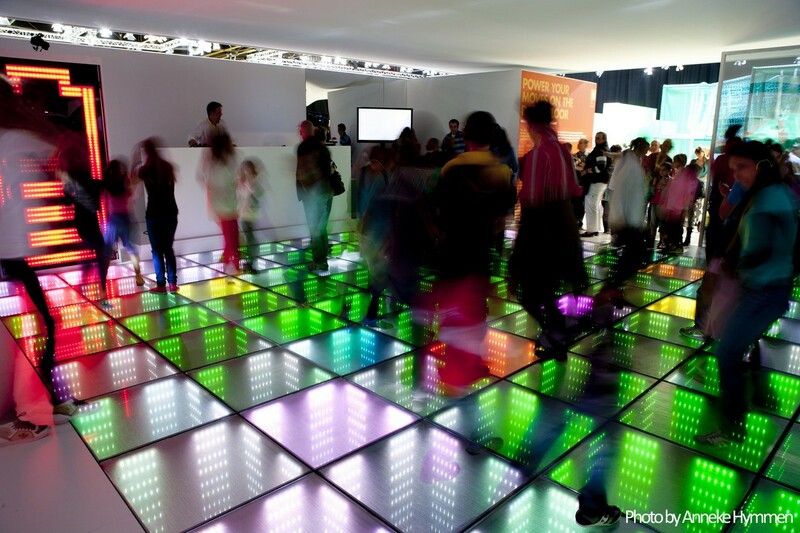 When a person steps onto the floor and starts moving, LEDs light up and charge a wall-mounted energy meter. Play educational games and compete with your friends! 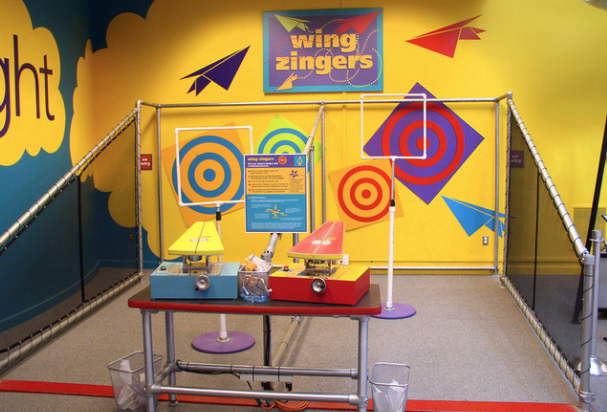 Construct a paper airplane or rocket and aim for the targets! Become an aeronautical engineer. 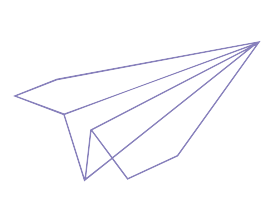 Adjust a wing, add some weight, and see how you can affect flight trajectory and speed. Can you construct a four-story building that will withstand an earthquake? How can make it stronger so it won't collapse? Use Knex to build YOUR structure and subject it to nature's ultimate engineering challenge. 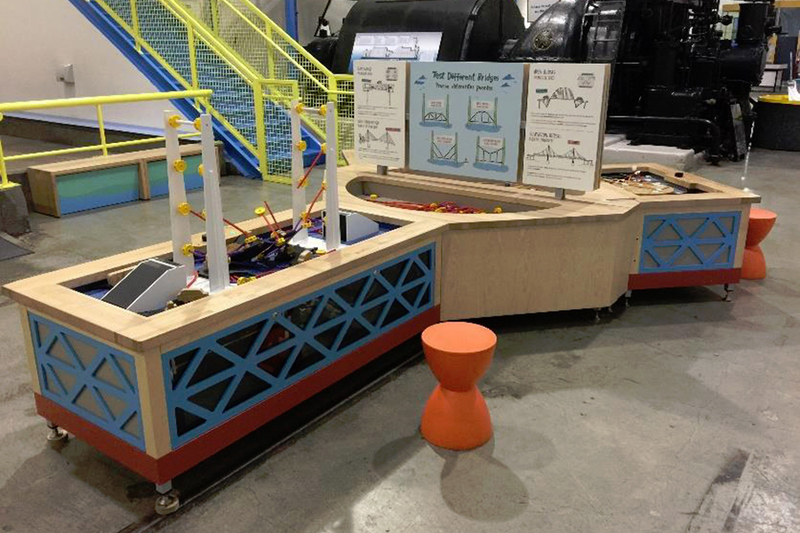 The Science Factory plans to expand our Hall of Science into the adjacent 5,000 square foot warehouse space. More exhibits and surprises will be found around every corner. 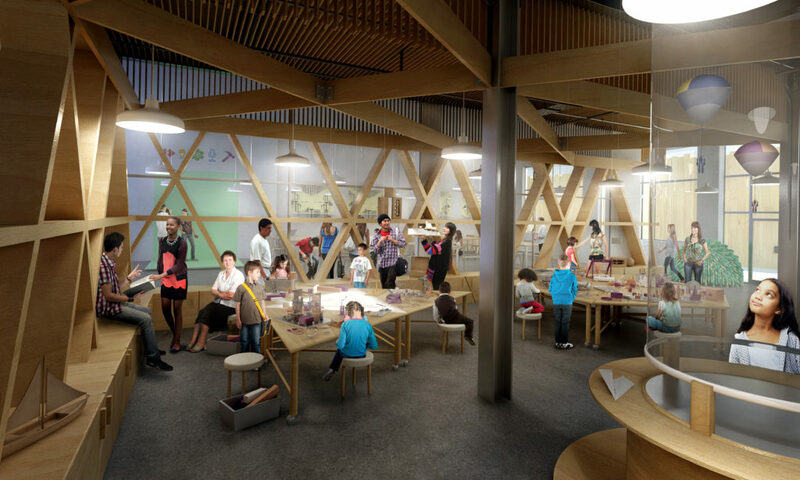 New exhibits will emphasize movement, promote kinesthetic learning, and actively engage the five senses. 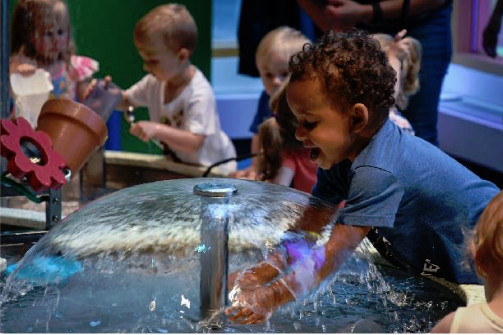 Exhibits in our expansion will include an expansive new indoor water exhibit, an earthquake simulator, an interactive topographic sandbox, a rocket launcher, and much more. There is such a demand for hands-on STEM programming in the community that our one small classroom is regularly booked to capacity. As part of our expansion, we plan to add a second classroom full of tools and materials, also known as our maker space. 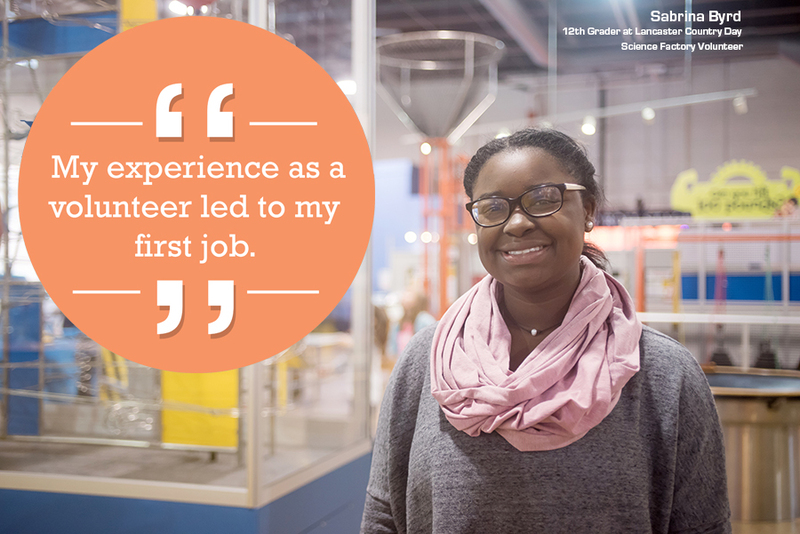 The maker space will be managed by a full-time educator and a team of active volunteers. 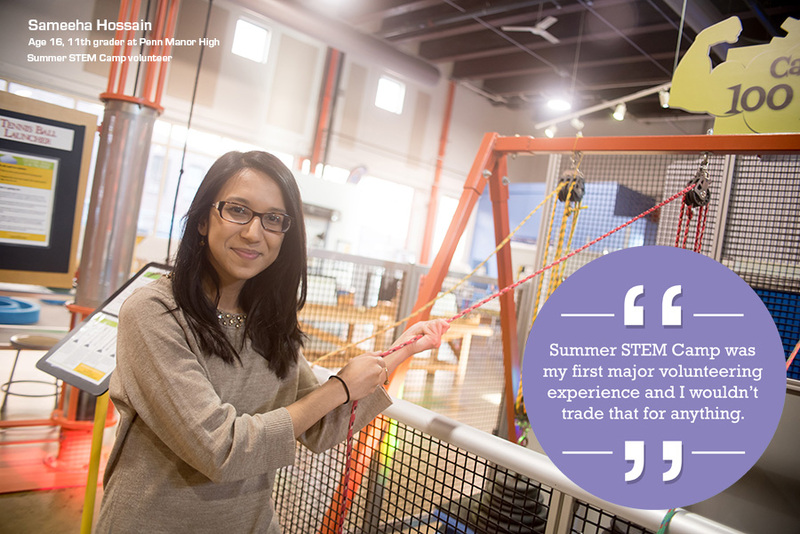 Students can participate in drop-in activities, workshop series, and week-long camps. 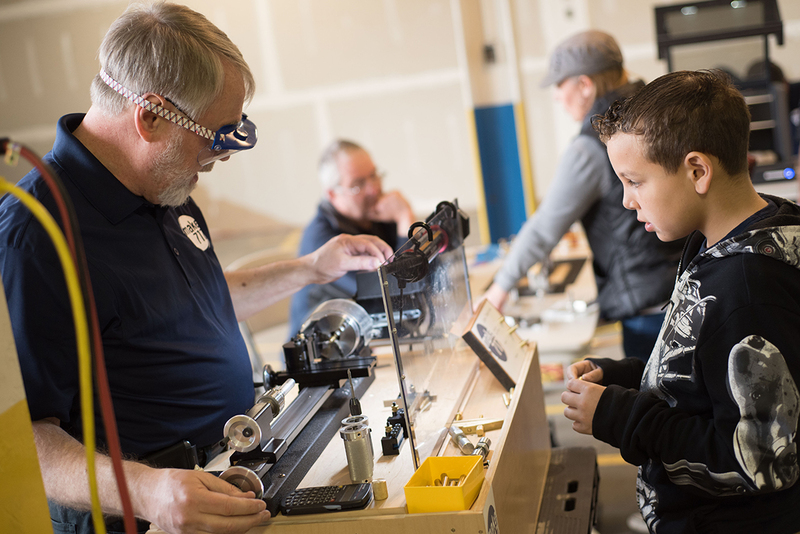 Topics will include beginning woodworking, basic circuitry and soldering, 3D printing, robotics, and much more. Come join us to learn a new skill and create something unique! Our busiest time for visitors occurs during the spring and summer months, making the addition of an outdoor courtyard a perfect fit for our expansion plans. Exhibits and signage in the outdoor courtyard will relate to environmental sustainability, focusing on water conservation, solar, and wind power. The Science Factory has partnered with a number of local non-profits who specialize in sustainability while planning this portion of our expansion. The Sky Bridge is a feat of engineering designed to occupy the most underutilized space at the Science Factory – the air! This elegant structure highlights the engineering principles of bridges – tension, compression, and suspension – while allowing visitors to climb two stories high. The Sky Bridge does not touch the ground – it is suspended from I-beams on the ceiling. More than 50 students (and adults) can climb the Sky Bridge at one time! 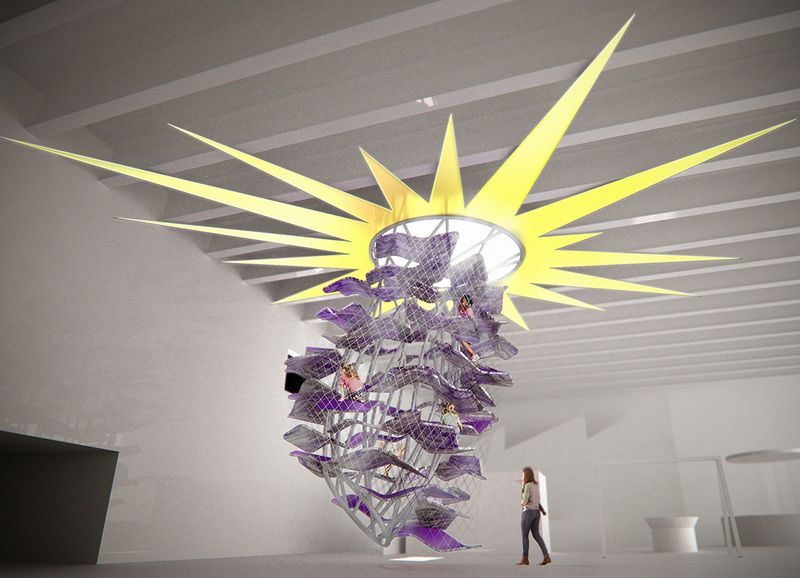 World-renowned exhibit designer Spencer Luckey designed the Sky Bridge specifically for the Science Factory. His structures can be found around the world. 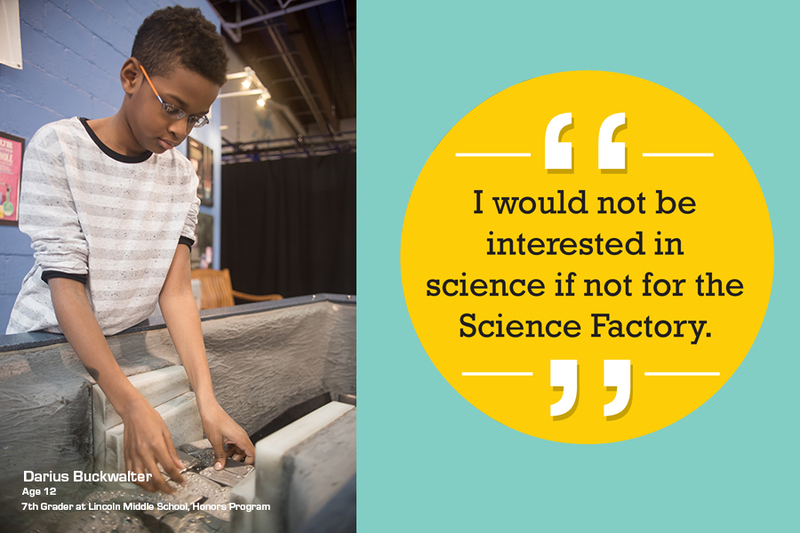 This is a transformational moment for us at the Science Factory. After growing steadily for ten years, we’ve blossomed from a start-up into a vibrant and growing science center. Now is the time to lift up the organization and ensure that we operate in our expanded facility with excellence for many years to come. An important part of our campaign is to establish a new permanent endowment, which will support the community in perpetuity. 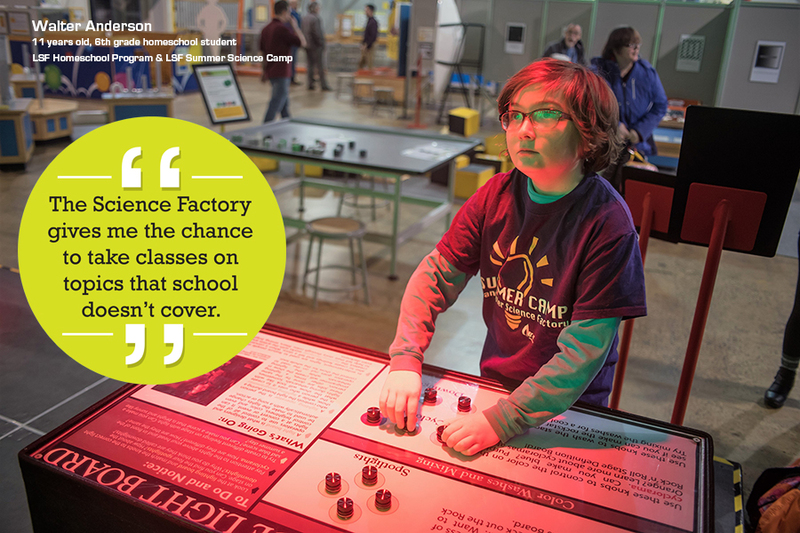 501[c] youth-serving non-profits in Lancaster County can visit The Lancaster Science Factory for FREE through our Youth Access program. The number of schools in the School District of Lancaster who can visit the Science Factory for free on field trips. Cub Scouts and Girls Scouts visited The Lancaster Science Factory for FREE through 2016. The number of free round-trip buses offered in 2016. Free science buses are available to all youth-serving non-profits in Lancaster County, all schools in the SDoL, and all public schools in Lancaster County. The number of pre-kindergarteners registered for free hands-on science classes in fall 2016. The number of need-based scholarships given in 2016 for Summer Science Camps and Girls Code Club. The number of attendees during our free one-day Science is Amazing Festival in 2017. The number of kids and families who have visited for free by participating in the Library Pass Program, a service provided to the Lancaster Public Library System. To our $3 Million Goal!